Growing vegetables and herbs in your tiny house can be a challenge. Tiny house gardens take extra thought and planning. However, many people who live in tiny houses year round have made an art out of gardening in a small space. Growing your own garden produce is a joy. Not only do you feel good about growing healthy organic food but it is a relaxing and peaceful activity. If you are living in a tiny home with children gardening is a great way to show them how plants grow and where our food comes from. If you are in the design stage of your tiny house you may add some features that are plant friendly. For instance, a window box along an inside window. This can be above the kitchen sink or along the window seat. Work with your builder to design a plant friendly home. Australia’s Tiny Real Estate has a list of builders on their website. Your builder will help you add small spaces that are perfect for garden containers. A wider window shelf can be used for an aquaponics system or a plant box. Another idea is placing metal rods that run horizontally across the window like this…. You can then hang little pots or cute buckets from these rods. Plant compact things such as herbs, strawberries or lettuce in the buckets. Pansy’s or marigolds are good flowers for containers. Secure your plant containers and shelves to the walls. Plants need to remain stable both for the safety of the plant and so they do not fall and spill soil while you are driving. Here are some tiny house garden ideas to get you started. 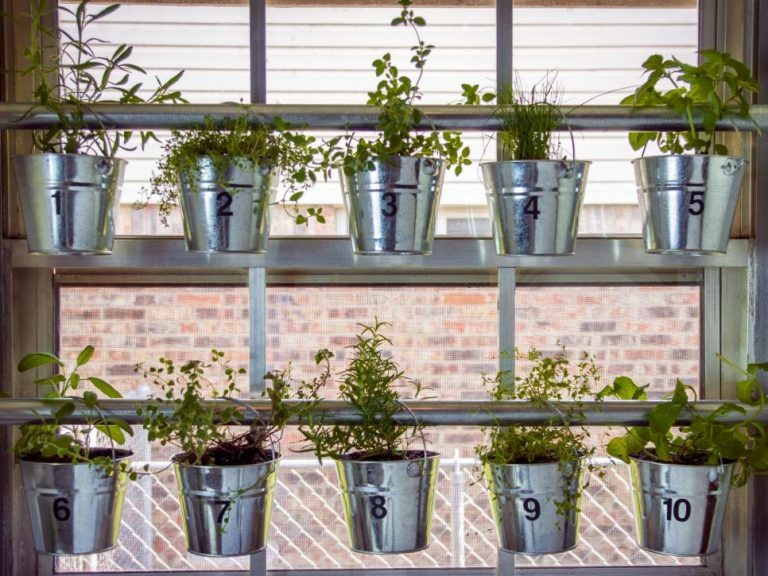 Herbs are some of the easiest plants to grow indoors. Fresh herbs add a more intense flavor and brighten up any dish. When you use your herbs on a regular basis it helps to keep them pruned and a manageable size. Here are some herbs that are compact and grow well in containers. Thyme brightens up many dishes. Use a light cactus seedling mix for thyme and let your plants dry out in between watering. Basil is a savory herb that comes in different flavors. Sweet basil is the one most of us are familiar with and is used in tomato dishes. Thai basil is also quite popular for Asian dishes. Lemon basil smells clean and fresh and is wonderful with fish dishes. Basil likes lots of sun and should have moist soil. Fertilize with a diluted solution weekly. Rosemary is a great herb to add to stews and meat dishes. It is often used in homemade soaps and shampoos. Give your rosemary a sandy potting soil mix and let it dry out in between watering. Aquaponics is a growing method that uses water instead of dirt. 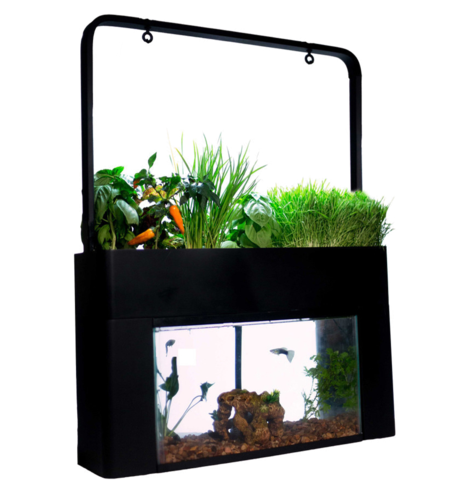 Plants are suspended in a medium that provides water and nutrients. Connect your aquaponics system to a fish tank. This creates a symbiotic system where the fish “fertilize” the water which is then pumped into tubes for the plants. A system like this requires careful planning. Especially if you are in a mobile tiny home. Lettuce and greens flourish in an aquaponic system. Aquaponic systems come in a variety of sizes. You can get a tabletop version with a fish tank underneath. Sprouts are a incredible source of nutrients. They are a crunchy nutritious addition to a sandwich and will energize your salad. Sprouts are extremely easy to grow and take no more counter space then a large coffee mug. To grow sprouts in a jar simply take a quart jar and add one tablespoon of sprouting seeds to the jar. Alfalfa and broccoli are good for beginners. Cover the jar with cheese cloth and secure with a rubber band. Next, fill the jar 3/4 of the way with water. Let the seeds soak for twelve hours. Drain out the water and rinse off the seeds. Place upside down on a dish rack. Rinse and drain your seeds twice a day. They will begin to grow in just a few days and be ready to eat in a week. Quick and easy! Some tiny houses are located on a permanent foundation. This gives the owner opportunities to garden in an outside space. 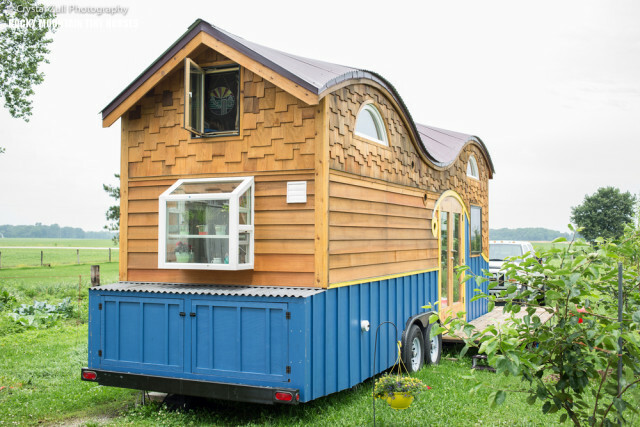 However, if you travel with your tiny house you may be craving a bit more garden space. Tiny greenhouses are the answer to your problem! Some tiny houses have a window greenhouse attached. This easy addition adds growing space for plants without adding extra weight or towing needs. 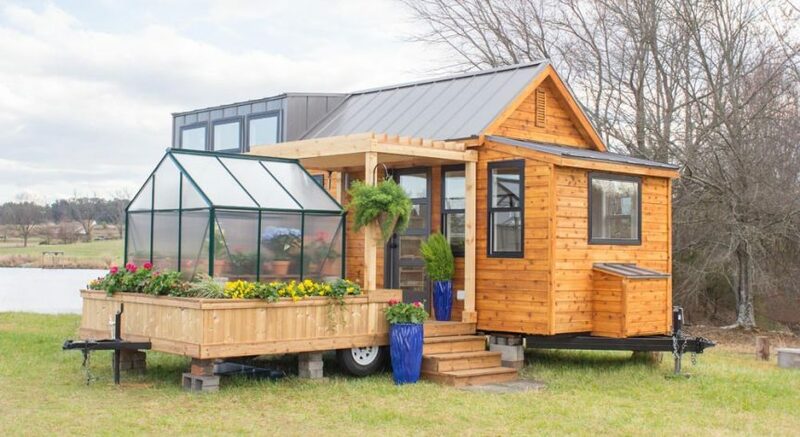 The Elsa by Olive Nest is a tiny house design that includes a greenhouse on a trailer. Are you still undecided about building a tiny house. Take an eco-friendly holiday and stay in a tiny house in the country.